Video: 13 Things Mentally Strong People Don't Do. Video: Forbes: Are You 'Mentally Strong'?. Video: 13 Things Mentally Strong People Avoid. Video: TEDx Talks: The Secret of Becoming Mentally Strong | Amy Morin | TEDxOcala . Video: Good Day: Being a Mentally Strong Parent. When Amy Morin, licensed clinical social worker and psychotherapist, posted a list entitled the “13 Things Mentally Strong People Don’t Do,” online she didn’t expect to create an international sensation. Within five days of it being published, it was reprinted on the Forbes website. It has since become Forbes’s most viral article of all time and was read by more than 50 million people. Since then, she's been traveling the globe teaching people about mental strength. A Wall Street Journal, USA TODAY, and internationally bestselling author, Morin’s books 13 Things Mentally Strong People Don’t Do (William Morrow) and 13 Things Mentally Strong Parents Don’t Do (William Morrow) have been translated into 32 languages. 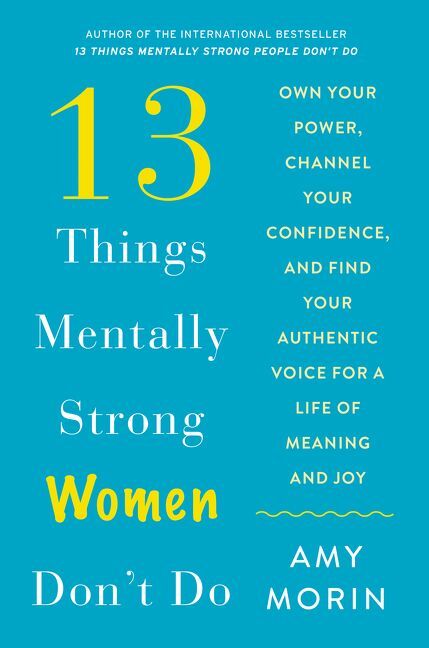 Her next book, 13 Things Mentally Strong Women’ Don’t Do (William Morrow) will be released in December of 2018. In 13 Things Mentally Strong People Don’t Do (William Morrow) Morin expands upon her original list that has become an anthem for so many people around the world. The book provides practical strategies to help readers avoid those 13 common habits that are likely to hold them back in life. Morin’s book combines compelling anecdotal stories with original research-based information to illustrate how to avoid these unhealthy thoughts, emotions, and behaviors that everyone is prone to at one time or another. Morin teaches readers how to create a happier, healthier lifestyle while also preparing them to deal with life’s inevitable hardships and tragedies. Mental strength isn’t just about acting tough; it’s about feeling empowered to overcome life’s challenges. 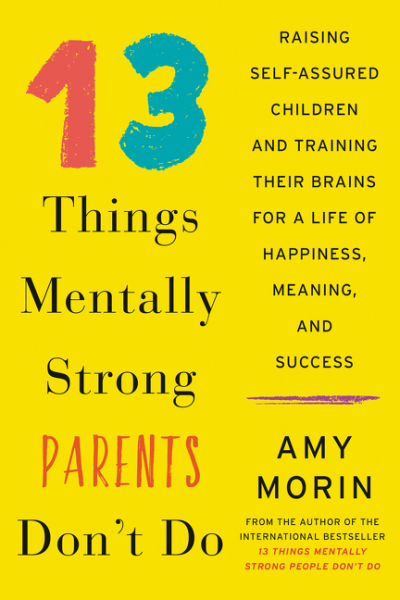 Morin turns her focus to parents, teaching them how to raise mentally strong and resilient children in her book 13 Things Mentally Strong Parents Don't Do (William Morrow). 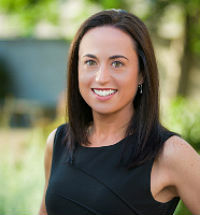 As a foster parent, psychotherapist, and expert in family and teen therapy, Morin has witnessed first-hand what works. When children have the skills they need to deal with challenges in their everyday lives, they can flourish socially, emotionally, behaviorally, and academically. With appropriate support, encouragement, and guidance from adults, kids grow stronger and become better. Drawing on her experiences and insight, 13 Things Mentally Strong Parents Don’t Do combines case studies, practical tips, specific strategies, and concrete and proven exercises to help children of all ages—from preschoolers to teenagers—build mental muscle and develop into healthy, strong adults. With more than 8 million views, her TEDx talk, The Secret of Becoming Mentally Strong, quickly rose to one of the top 25 talks of all time. She was named one of the top 100 leadership speakers of 2018 by Inc. Magazine, The Guardian dubbed her the “self-help guru of the moment” and Forbes refers to her as a “thought leadership star.” Morin delivers inspiring and actionable keynotes and workshops to schools, private companies, and large-scale conferences. Her broad speaking client list includes organizations such as The American Academy of Pediatrics, Google, Microsoft, NBC, and the National Nuclear Security Administration. Her experience and invaluable knowledge makes her a great speaker to a variety of audiences. Each audience member will walk away with a clear exercise plan that they can begin implementing immediately. The focus will be on developing mental strength through learning skills to regulate your thoughts, tools to manage emotions, and strategies to take positive action. Morin has been sought out by the media for her expertise in psychology, parenting, and mental health. Her advice has been featured by numerous outlets around the globe including CNN, Fox News, Oprah.com, Fast Company, Time, Hallmarks’ Home & Family, and CNBC. She’s a popular columnist for Forbes, Inc., and Psychology Today where her articles on mental strength reach more than 2 million readers every month. She’s also a psychotherapist and a lecturer at Northeastern University. "The Forbes community has launched and discovered a thought leadership star." "Amy Morin was perfect for our group. She took us to the depths of her despair, and then like her book, she took us up through the despair by way of realistic steps, not on what to do, but on what not to do. Amy offered our group another way to look at recovery. She didn’t ask us to deny the challenges that face us, instead she provided steps we can use to build our mental strength to move beyond these daily challenges. Amy has a generous spirit and a depth we all resonated with." "It was with great pleasure that Hooks Book Events recently produced a corporate client event with Amy Morin discussing her new book, 13 Things Mentally Strong People Don’t Do. 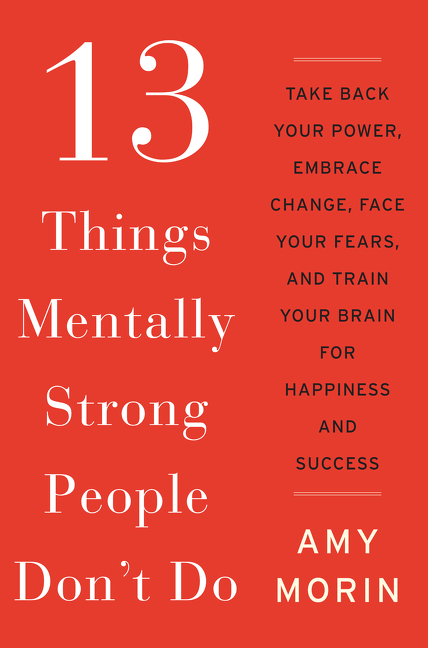 The advice is practical and actionable and Amy makes a smart differentiation between mental health and mental strength. The personal experiences that helped shape this list make Amy a credible and relatable speaker and one you will admire. We hope to work with her again this year." "I reached out to Amy Morin after reading her phenomenal book and experiencing the impact it had on my life. Her presentation to our community and audience was absolutely life-changing for so many people. To hear her stories, experiences and expertise, told in such a warm, open, personal manner, was truly outstanding. She's a professional, yet with a heart, and a polished speaker who loves her craft and work. I highly recommend Amy for any engagement and hope to have her back very soon." "Nearly 1,200 C-Suite and VP-level business leaders signed up to hear Amy give a practical, illuminating talk and afterward field questions with poise and grace. Members rated the event an extraordinary 4 ½ out of 5 stars. As one member put it, 'This is invaluable ‘life’ insight; everyone should hear this advice over and over, for continual professional and personal growth.' I would happily welcome Amy back to the ExecuNet stage, any time." "Your life story, presentation, and book provoked serious thought and conversation both during and after the event. Your insight on the topic of mental strength helped us better understand how we grow as leaders for our organization and ourselves." "Your sensitivity and commitment to knowing the group you're engaging with made all the difference for our participants. They felt you were speaking to them from a place of understanding their roles and a personal place of authenticity on the topic. As you know, a lot of effort goes into identifying the right speaker, and it's very rewarding as a planner when the speaker takes in what you've offered and connects with the group by incorporating what may be of particular importance to them. You left participants lifted up and with a sense of a new strategy they might try." THIS WAS A WONDERFUL WAY TO END THE TWO DAYS! I would suggest we bring Amy back again to talk about her next book! Amy was fantastic! I plan to buy her book. I have already watched some of her previous speeches. Her knowledge was clear. She spoke in an organized, clear and obviously knowledgeable manner. These are the types of speakers/topics I learn the best from. YAY!!! This was SO good. Please let's have Amy back to talk to us more, especially about her work around parents. She is a phenomenal speaker and the content is easily applicable to both personal and professional. Awesome. Amy is an amazing speaker with an amazing story. I especially loved her paper bag activity. Amy was amazing, she kept everyone's attention and had great things to say, sharing her story really helped connect to her and showing that everyone goes through things and you need to take care of yourself. LOVED this presentation. She was funny, engaging, and offered great information and ended our training days on a very high note. Would love her to come again and talk about other areas of our work. Excellent presenter!! More hands on to incorporate/practice these strategies. Loved this one!!! She is an amazing speaker and really seemed to understand what we do as home visitors and had very specific tools and ideas that could be used with families, staff and ourselves. A refreshing look at self care! Everyone at my table loved it. Great end to the two days! Funny and meaningful. Enjoyed this discussion. Excellent. Entertaining and encouraging/hopeful strategies. I loved this presentation! Amy was an amazing presenter and her message was very helpful and useful for my personal life as well as my work life. This was my favorite part of the two days. Amy brought humor to a serious topic in a way that kept the room energized and focused. She used our real lives to make a point rather than a generalized, "life is hard for everyone, move on" approach. At the risk of coming off smug, she approached the self-care topic in a new and engaging way. I'd love to hear more from her! Wonderful. Amy was engaging, funny, appropriate and a delight! The best!! She should do stand-up comedy!